The Hoover Dam is an architectural marvel that stands near the border between Arizona and Nevada. 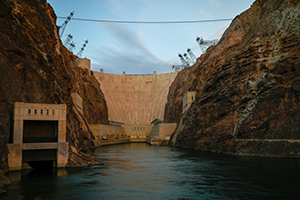 Drawing energy from Lake Mead and the Colorado River, the hydroelectric power plant is open for guided tours. The visitor centre at this iconic dam includes a theatre, observation deck, galleries and other resources. Click to book A Discovery Tour of Hoover Dam. The construction of the dam was one of the largest public projects during the Great Depression. Thousands of workers participated in the development of this massive concrete dam over the course of five years. The diversion of the Colorado River has permanently changed the geography of Southern Nevada and the surrounding region. In late 1935, President Franklin D. Roosevelt and other prominent figures officially opened this important civil infrastructure. For just more than a decade, the structure was officially known as the Boulder Dam. In 1947, the dam was renamed to honour the 31st president of the United States. Click to book A Discovery Tour of Hoover Dam. The visitor centre at the Hoover Dam offers several tours and other resources that reveal the fascinating history of this iconic structure. The Theater Level has various exhibits that introduce you to the local geography, history and other topics relating to the dam. From coloured maps to photographs, you'll view interesting presentations at this underground level. Running for approximately 10 minutes inside the theatre, an introductory film summarizes important facts about the dam. After watching the short film, you'll have to take a downward elevator ride through more than 500 feet of hollow chambers inside Black Canyon. The Penstock Viewing Platform offers great views of enormous hydraulic systems that control the flow of water from Lake Mead. You'll also see some educational animations and illustrations that explain the complicated workings of the hydroelectric power plant. After checking out the penstock area, you'll take an upward elevator ride to see some of the massive generators in the Nevada section of the power plant. The Inspection Galleries offer behind-the-scenes views of important ventilation systems and intricate tunnels. The Exhibit Gallery at the visitor centre presents various artefacts and memorabilia dating back to the early years of the Hoover Dam. Some of the top highlights of this gallery include a model-scale diorama and full-size generator. There are also plenty of family-friendly interactive installations with educational challenges. The upper level of the visitor centre includes an observation deck that overlooks the dam and the surrounding landscape. 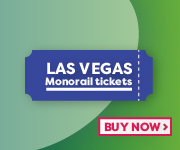 You'll enjoy unobstructed views of the Colorado River and Lake Mead. The Hoover Dam site has several facilities and other installations that are renowned for their architecture. Made of bronze, the Winged Figures of the Republic has beautiful motifs that celebrate the local geography. The dam's first visitor centre was located inside the historic Old Exhibit Building, which still contains some galleries. Don't forget to explore the Arizona and Nevada Spillways, some of the largest structures of their kind in North America. The Nevada Intake Towers also stand as prominent installations on top of the dam. Additionally, there are some sidewalks that overlook the intake takers and the water reservoir. Located just less than 30 miles away from Las Vegas, the Hoover Dam is situated off US Route 93 in Boulder City, NV. Having enough space for more than 450 passenger vehicles, the parking garage is located near the visitor centre. You'll need to pay a flat daily fee to park a vehicle inside this covered parking garage that's only accessible from a meandering road under the Mike O'Callaghan–Pat Tillman Memorial Bridge. Click here to visit Hoover Dam official website.